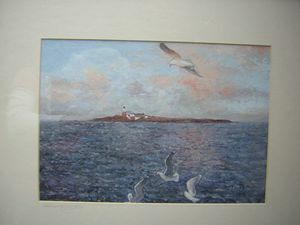 This painting is by Eileen Heywood. 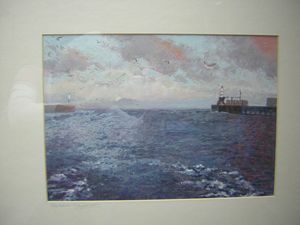 It is a sunset image in oil painting of the harbour in a small Northumberland town called Amble, also known as the friendliest port. This is the original painting.